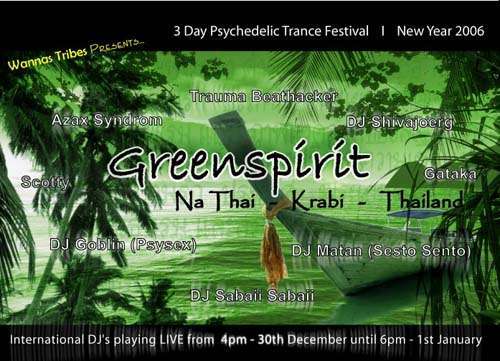 Greenspirit Party takes place by the village Na Thai in a Rubbertreegarden (out in the green) destrict Krabi ( 4 Km from the famous Ao nang, Nopparatara beach RayLey ,Tonsai and Phranangbeaches. 15 Km from Krabi Town. Since a few years Krabi has his own airport and can be reached easy directly from Bangkok, Kuala Lumpur or Singapur. 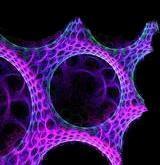 Wannas Tribes Dream Mushroom Team Loopusphere (AUS) Tre-d(T.A.P 303 SVE/UK) Visual by: Mastradamus (www.mastradamus.com) "VJ Fai"